MSC Cruises is offering savings of up to 64 per cent on its 2012 September to November Mediterranean itineraries through a hot mid-year 48-hour sale. 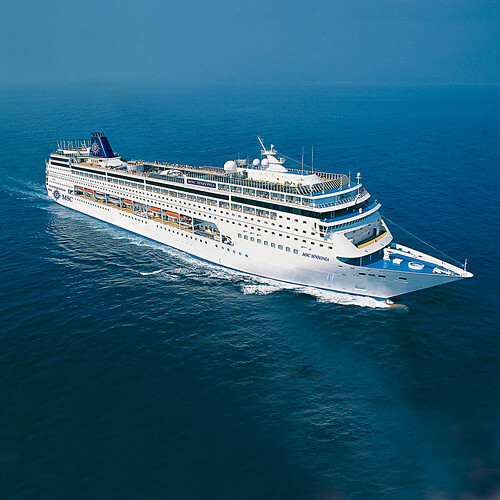 In urging passengers to "grab the passport and get cruising", the leading cruise line will hold the sale from Tuesday, July 24, with fares beginning at $300 per person twin share for a seven-night cruise aboard such luxury ships as MSC Splendida, MSC Musica and MSC Sinfonia. "That's truly great value," said Lynne Clarke, managing director of MSC Cruises Australia and New Zealand. "When you consider the deal includes accommodation, entertainment, five meals a day and port charges, where else could you enjoy a holiday at that price?" asked Mrs Clarke. "And to think that such ports as Barcelona, Venice, Dubrovnik and Marseille are visited as well." The heavily discounted fares can be booked online, by phoning 1300 028 502 or by contacting your travel agent. To cash in on the deal customers must book and pay in full at the same time. However, MSC Cruises warned there can be no name changes - and all fares are non refundable, and a 100 per cent cancellation applies to any booking made during the 48-hour promotion. Details: www.msccruises.com.au or phone 1300 028502.